There’s No Such Thing as a “Boy Sport” or a “Girl Sport”- Its Just Sports! Did you know that 86% of adolescents girls don’t fulfill the recommended 60 minutes of daily exercise requirement? Did you know that by the age of 14, girls drop out of sports twice as often as boys do? Sports are significant for boys and girls because they promote health and well-being, improve self-esteem and confidence and teach leadership, teamwork and perseverance. More importantly, sports provide core values and life lessons that can be utilize into adulthood. Women in sports challenge gender stereotypes and show men and women as equals. For these reasons, it is crucial that we advocate for the participation in sports, especially by our girls and young women. 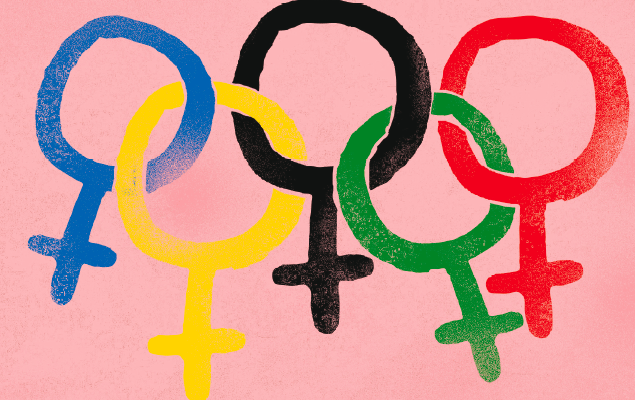 In fact, women are more visible in sport now more than ever: Out of the 997 athletes present at the 1900 games in Paris, only 22 women competed. However, the 2012 Olympics in London were the first Games in which women competed in all Olympic sports. And in Rio, approximately 4,700 women, which was 45 percent of all athletes, represented their countries in 306 events. It is our responsibility to express to girls that is it socially acceptable to participate in sports. Sports can give girls the skills to not only break down certain barriers, but also establish and achieve goals throughout their lives. Together, we must continue to get girls excited about sports and increase female participation in them. There are girls who like to play soccer, there are boys who like to dance. Different strokes for different folks! Everyone has their own preferences and this also applies to sports. Nowadays women can handle anything and everything and sports are no exception. With that being said, below are some examples of sports that can be played with both boys and girls together. They may sound unfamiliar to you, but, nonetheless, they all provide the opportunity to learn about a new sport and understand the concept that sports can be unisex! Artzikirol: Artzikirol originated in Alava, in the Basque Country eight years ago. It is played with a ball and is designed for mixed teams. It can best be described as a mixture of indoor football, handball and rugby. 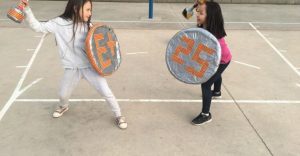 What makes Artzikirol so special is that it encourages both children and young people to practice sports and equality between the sexes. It has also been referred to as “the perfect sport” or “the most equalitarian sport”. 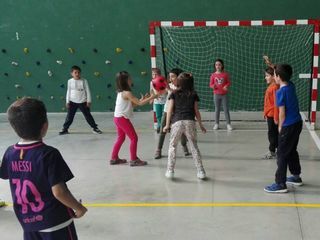 Colpbol: Colpbol is a new sport created by P.E teacher, Juanjo Bendicho. It originated in Valencia. In the last 18 years, the “Colpbol” has been established as a team, innovative, and educational sport. There are two teams with 7 players on each team. It is played in a very defined space. The objective is to hit the ball with your hand and get it into the goal. This sport is for everyone who wants to play. The colpbol breaks with the dichotomy of female colpbol and masculine colpbol. There is only a colbol topic, mixed. How fun! Jugger: Jugger is a sport created in Germany that combines physical elements of rugby football and wrestling. In jugger, two teams of 5 players try to score and prevent the opposite team from doing the same. How exactly do they do this you ask? With a ball called a jugg and with “weapons” coated with soft material. Jugger is not a sport that is based on strength, but on skill, speed and strategy! Do you want to motivate your daughter to play sports? A great way to accomplish this is by inviting a friend or friends to play with them. Boys and girls like to do activities surrounded by others. If they see a family member or a friend interested in a particular sport, they are far more likely to try it themselves. At the end of the day, the important thing is that they have fun. 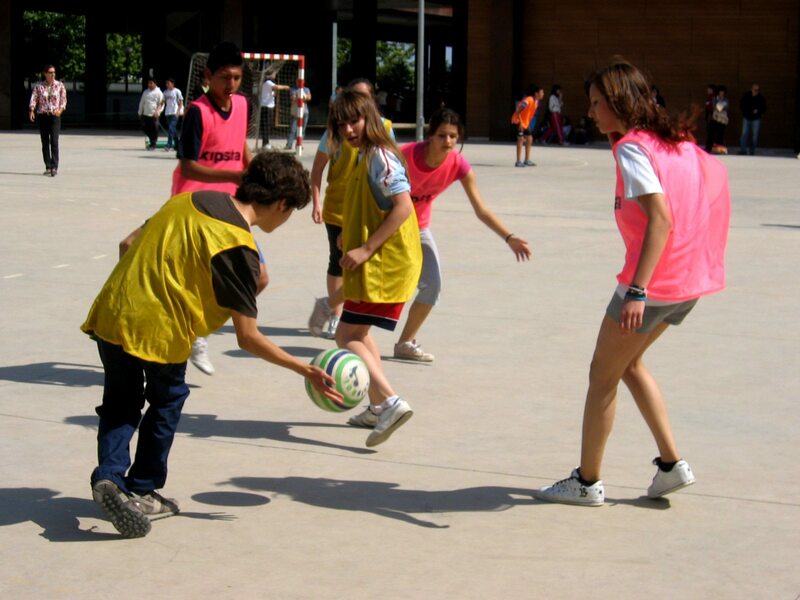 Here at Gasol Foundation, we promote the practice of sports among both boys and girls. We believe there is a sport or physical activity for everyone; the key is to find one that you truly enjoy and have fun doing. We promise to continue to encourage parents, teachers and family members to teach our youth the importance of a healthy and active lifestyle through sports and physical activity, thus ensuring a healthy childhood for our future generations!